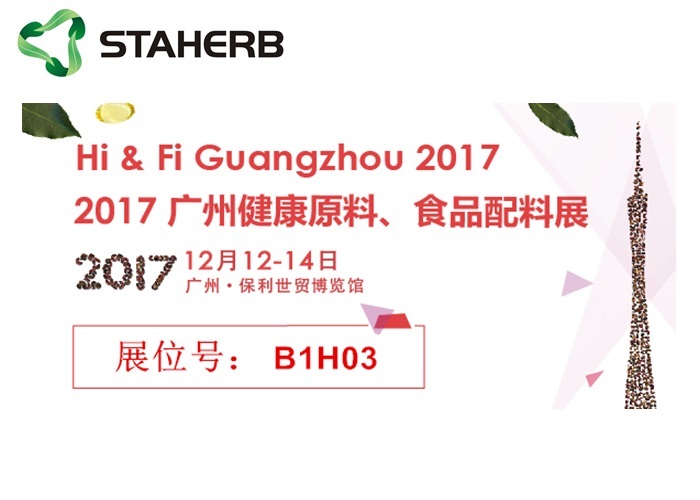 Changsha Staherb Natural Ingredients Co.,Ltd. will attend Hi & Fi Guangzhou 2017. Changsha Staherb Natural Ingredients Co.,Ltd. is a standard plant extract supplier.